Low air loss therapy has been demonstrated to reduce the risk of pressure ulcers as well as being a valuable aid in the treatment of pressure ulcers. 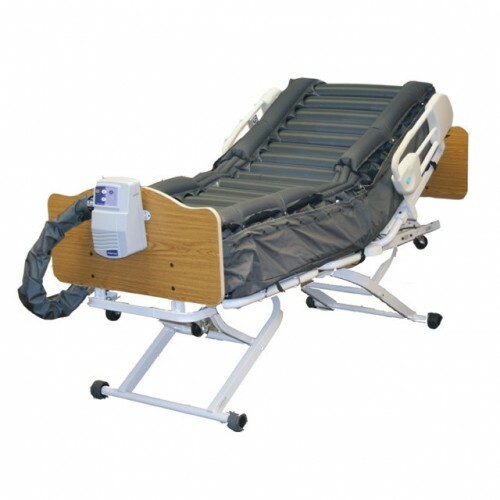 N/A 500 lbs 80" x 42"
The Heavy Duty Air Mattress Rental (42" x 80") is a unique therapy system that provides pressure redistribution by combining low air loss with pulsation. Low air loss therapy has been demonstrated to reduce the risk of pressure ulcers as well as being a valuable aid in the treatment of pressure ulcers. The pulsation feature may provide additional resident comfort and enhance the lymphatic system. 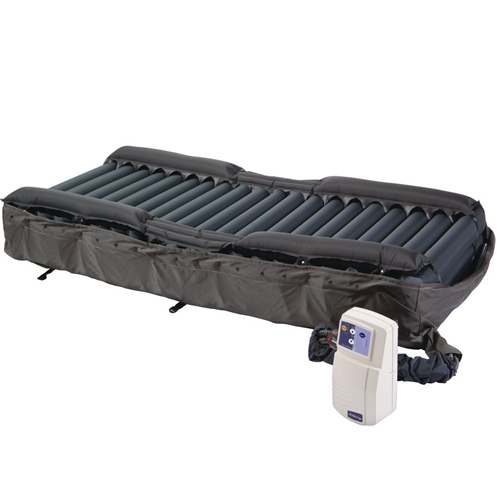 The Heavy Duty Air Mattress Rental (42" x 80") is designed as a mattress replacement system for residents weighing up to 500 lbs. Depth of Therapy Cells: 8"
Lower Safety Cell Depth: 2"